Nice game! Pretty challenging, if I do say so myself. I could not get past 850. Ha ha. I advise starting at the machine at the top and work downwards, means you can avoid the traps :) Thanks for playing! This game looks amazing, is a lot of fun to play, and I'm terrible at it. I don't think I've gotten higher than 8000 points. But I want to keep trying, and that means a lot! :) Great work! Thanks for playing and for the feedback <3 Clear cursor noted! And congratulations! Top of the rank with 46K! Got rank 6'd! Great graphics, sound effects and the juice in this one is pretty great. Although there can be too much screen shake especially on the shotgun (although that somewhat makes it less overpowered). It wasn't very clear what was required to turn on the machines at first, as I had thought that interacting with each machine meant just hitting E once on them, but didn't realize that I needed to constantly hold E. Wasn't a fan of how enemies would just spawn on you as well. Otherwise, a great entry! Thanks for playing Randomphantom! Sometimes the machine keeps with the 'working' animation even if its repair bar is not visible, this could help you with the requirements! 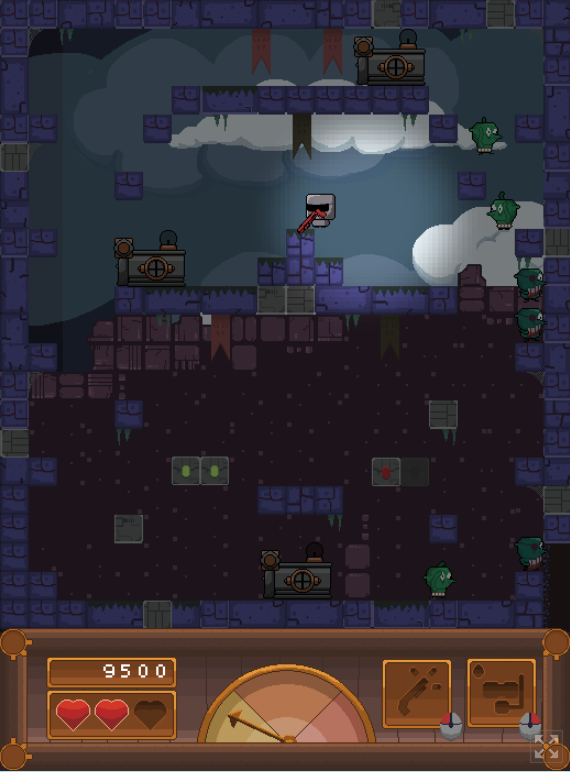 Enemies spawning near the character is fixed and ready for the update after jam! Thanks for the feedback! It's very hard to get to the upper platform. When the flood started, I just couldn't get up and get killed every time. I still don't know what will happen if all the machines are operated though. But nice touch with the warning, it did give me a surprise factor and prompt me to act quicker. My suggestions for the game, please tone down the screen-shake a bit. And polish on the platforming more. 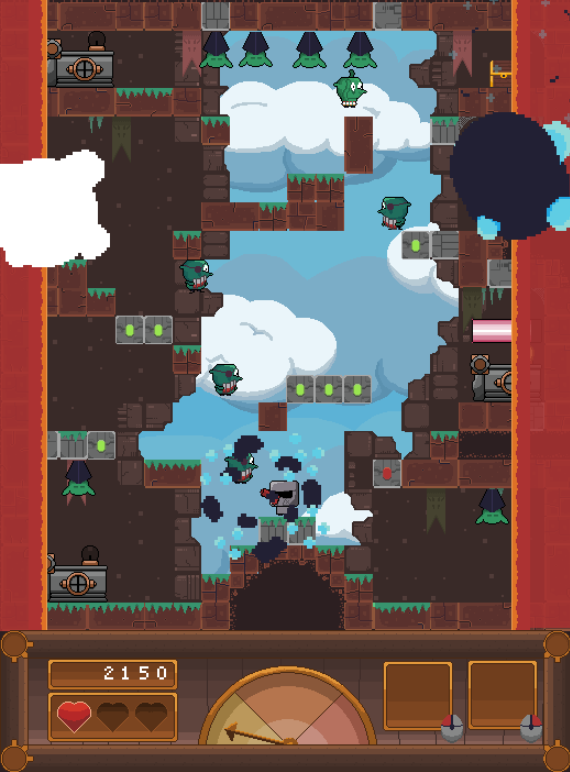 Seriously though, nice artwork and sound, this is a very polished game for a game jam! Great artwork, challenging but fun. So many goblins! Congrats on finishing this and the level of polish you added. Thanks for playing and for the feedback KingZer0!! Thanks for playing and for the Feedback Cubeeo! I'll fix this glitch on the scoreboard ASAP <3. Keep up with the good work, guys! Congrats for the gorgeous game! All around great game! it lacked a bit in theme relevance, but it made that up with the huge fun factor! The art is lovely too, and so is the soundtrack! imo, the first stage could be a tad easier though, to make it more accessible for players to get into the game before they quit in frustration. I challenge y'all to beat my Highscore of 27k! Bring it on! Thanks for the feedback Scayze and Congratulations! 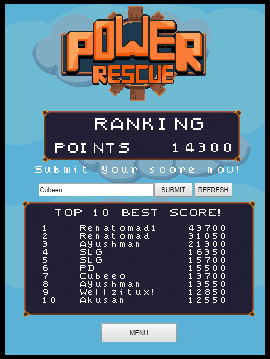 You are in the top of the rank \o/ \o/ \o/ For this jam, i tried to add the theme inside mechanics (i usually add it into the story/art of jams games), and it was hard to balance surprise and frustration! 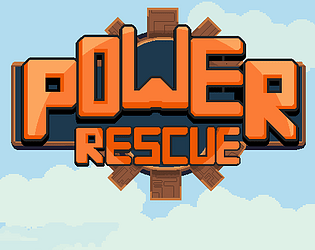 This is an all-around well-made, fun, and juicy game. I hope you continue to refine this. There is a lot of potential here. My only complaint is that sometimes the "dangers" take up too much of the screen. It's hard to avoid the water when you are coming from the lowest part of the screen. Thanks for the feedback L4N_T, i'm thinking on putting more efforts on that game too! Definetely checked the dangers sizes on next version! Thanks again! Pretty fun game. Great art, good music. Also very polished. great job! It gets pretty easy staying on bottom left or right corner with a lot of patience.